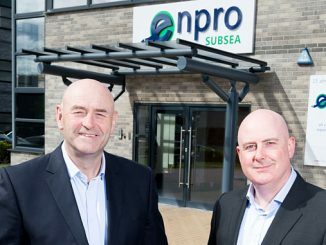 Aberdeen-based production optimisation specialist Enpro Subsea has announced that the GBP 1.5 million investment project in its Flow Intervention Services (FIS) technology, which included a GBP 755,000 research and development grant from Scottish Enterprise, has started onshore testing ahead of planned subsea field trials later this year. To date their 10-k pressure version of FIS has provided well stimulation for multiple campaigns in West Africa. 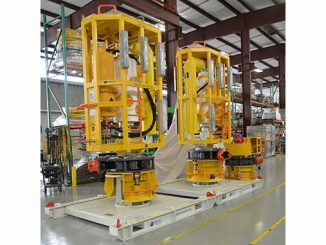 The system has been proven to improve production, by stimulating the reservoir and increasing the ultimate recovery from existing subsea wells. 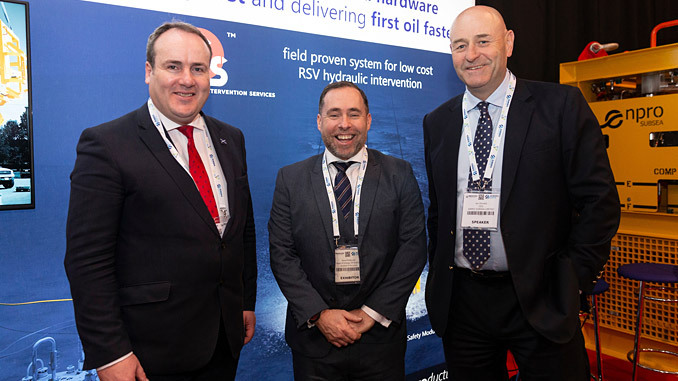 Scottish Government minister for Energy, Connectivity and the Islands, Paul Wheelhouse MSP and David Rennie Scottish Enterprise’s head of Energy and Low Carbon Technologies, viewed Enpro’s FIS 15-kpsi technology first-hand at Subsea Expo (Tuesday, February 5th 2019) in Aberdeen. “We are seeing more adoption for the Flow Access Modules (FAM) production and the FIS intervention systems, from the smaller independent operators as well as the larger E&P firms. We have outlined some of these results to Mr Wheelhouse, Scottish Enterprise and visiting delegates today. The development has taken a lot of hard work and perseverance to deliver this level of success for a new technology during a downturn period. It’s been down to the commitment and engineering skills of our team combined with the support and co-operation of our clients,” Donald continues. 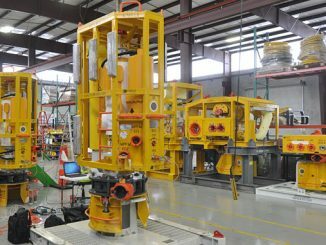 The company uses this “smart standardisation” to link with existing subsea infrastructure, Xmas trees and manifolds, and return significant cost savings during well operations compared with alternatives. Enpro Subsea is located on stand #1 along with its 15-kpsi FIS system during Subsea Expo, Europe’s largest subsea focused exhibition and conference.